Rated 5 out of 5 by SubaruFrog from Another great one in the series! Being a huge fan of this franchise I was very excited to see #3 finally come to the Mac. The same formula as earlier editions but just as fun. :) One thing I really like is the ability to continue a level even if you run out of time. My new favorite game! Very fun! 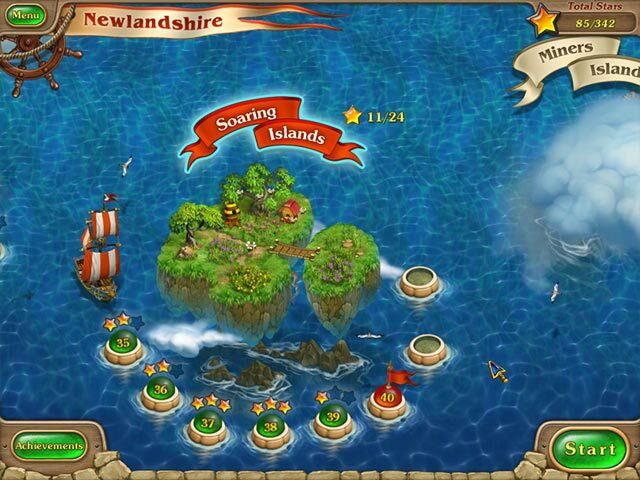 Rated 5 out of 5 by sparklefish777 from My First Strategy Game! I usually play hidden object and time management games. This is my first strategy game and I am so happy with it! The game is challenging but not too hard. Graphics are terrific. Also, this is a well thought out game that surprises me from level to level. I am already on level 66 and plan to finish the entire game. Not only that, but I want to purchase the first two games in the series as well. I went ahead and bought the collector's edition the first time around since I liked the trial version so much and I'm looking forward to the bonus levels! Can't wait to replay this as I'm sure I'll make better choices second time around so that I can earn three stars! Highly recommend this game! Rated 5 out of 5 by Wynterr from Fantastic Game, Worth the Money! I really enjoy the Royal Envoy series. This one is just like the others. One thing that I really appreciate about them is the value. I just had a surgery done and so am needing to do nothing and relax. This game kept me occupied for 3 days of non-stop playing so that I could get 3 stars in every level. With over one hundred levels to play it is definitely worth the money if you like these kinds of games. Some of the levels are simple and some are quite complex to get the three stars requiring a lot of thought and perfect timing to complete. Will happily buy the next in the series. Rated 5 out of 5 by JennyerSuper from Excellent I have to start by saying I am a little biased towards the Royal Envoy series, the first Royal Envoy was my first time management game and I have been hooked ever since. The franchise did not let me down in this most recent installment. My overall rating is 5 stars for this game, mostly because the fun factor is right up there. I think the level of challenge is perfect, especially in expert mode, there are quite a few levels that require more than one try and you have to balance your actions exactly right in order to get three stars. 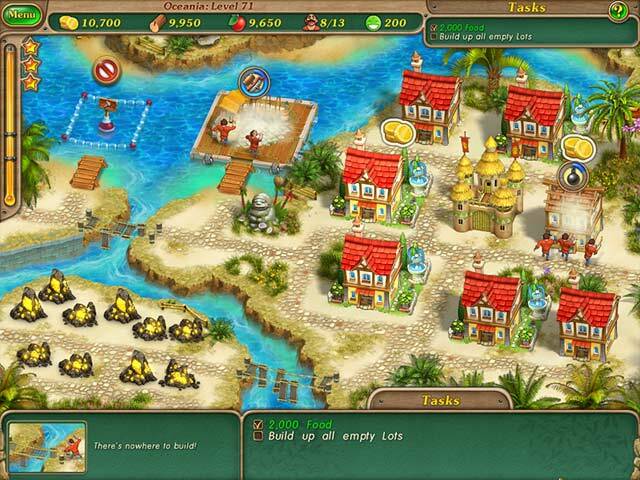 The storyline is just so-so, it is pretty basic, your mission is to restore towns and to add the different islands to the Royal Envoy Kingdom. However, I don't play these games for the storyline, but for the level of challenge and fun in the different levels. The fun factor is all the way at the top, I enjoy the variety of tasks to be completed in the different levels and the bonus challenges add more depth to the game and give you something to do after you have mastered both the casual and expert modes. The visuals are colorful, clear, and crisp, very good compared to most time management games. I cannot stress enough how much I highly recommend this game. Great addition to my collection. Rated 5 out of 5 by earthfairies from Love this Time Management Game A big Winner in my Books! This is the best Time Management Game I have played in a long time. Challenging, and makes you think a bit. I love that it has soooo many levels and is a fairly long game. Best dollar value ever. 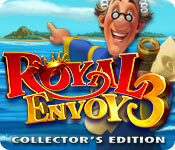 I will be playing more of these Royal Envoy games in the future. Rated 5 out of 5 by HazelXQ from I simply love it. Like it has been said in other reviews, much like the Envoys before. Nevertheless its easier to play, new lovely music new challenges. No annoying hours waiting with only 2 workers for example. One things that has most certainly improved in my eyes. I simply love the little tricks now and then. The hidden things. The map is gorgeous the graphics like before: fantastic. I really enjoy this game. I miss Cedric but its smooth playing without stories in between. Compliments to the whole team who spent hours, days month to make this lovely creative and cute game. Rated 5 out of 5 by jmttm from I'm hooked! I love this little game. I even dream about playing it. Great time waster! Rated 5 out of 5 by mrm2006 from An Archipelago for the King! I truly enjoyed this game. An upgrade from the previous ones in this series. Loved the inflated looking cartoonish characters more than anything! Storyline: The King of Islandshire has sent his subjects out to discover a new land. A message comes back to the King that a series of islands has been found - an archipelago - and the Chief of these islands agrees to let the King rule and the King, in return, will build up the island with houses, cottages, farms, sawmills and much much more. Graphics: As I said, I love the inflated looking, cartoonish characters. The colors were so bright and cheerful looking, as well as being very realistic (for example, the grass was green (or brown in the shade), the bark of the trees was a nice brown, everything just perfect. Sound: Background music was upbeat and positive. It positively made the workers work - lol! The sound effects were great, trees being cut down, buildings being built and even conversations could be heard - perfect! Game Play: Build, build and build some more. Cut down trees, work the gold mine and the forestry and make sure you have enough workers and food and wood to do everything necessary. Pay attention to the notes and tips you get at the end of each level because they are useful - they will clue you in that you need to build a market or a sawmill or there's a forestry in that level - very important. The CE version comes with a walkthrough which I think would be very helpful as you level up and things get harder. There is a task list and since your time doesn't start until the first task is assigned, strategize a little before you start the level. You will build everything you need and upgrade as you go along as well. . You can choose to play a "relaxed" level whereas you can continue to play after your time runs out. You can also restart or replay a level if you feel the need. Now, if I seem to like this game so much, why did I only give it 4 stars. Well, I'll tell you why I took a star away ------ I think it would have helped a lot if every time a new item was unlocked (the ogre needs to be fed to clear the rubble, for example) we get SOME type of tutorial, help, something. Also, even though on the "relaxed" mode of play I can continue to play after the time runs out, there are still stars awarded - up to 3 depending on how well you did. If I'm playing "relaxed", there shouldn't be the competition (even if it's self-imposed) of trying to get those 3 stars on every level. It would drive me nuts! I DO encourage everyone to try this demo - it's an hour long (a very quick hour) and it's absolutely free to try. I think you will enjoy it much more than I did. Happy Gaming! Rated 5 out of 5 by bishop80 from Best Royal Envoy yet I love this series & this game is up there with the best, challenging yet encouraging at the same time. Well done! Rated 5 out of 5 by bodriz from GAME OF THE YEAR! Definitely the best TM game out this year so far...Lots of fun, extended game play, fantastic graphics, generally brilliant! Rated 5 out of 5 by babe09 from I am SOOooooOOO loving this game! As with all the Royal Envoy games, I find this one so much fun! It's a lot like some of the others yes, but it's also adventurous so you want to continue on with the adventure. What a nice change from some of the dark gruesome games we have been offered lately! I appreciate a game that is a challenge and takes me a while to complete, and this really lives up to the task! Thanks so much for this game BF and Playrix!!.. I am at level 109 with a glass of wine! (oh, a poet and didn't even know it!) Enjoying my adventure and looking forward to more from this developer. YOU are going to enjoy this game... relaxed or not, it's a lot of fun! Rated 5 out of 5 by trish999 from Having fun with this one!!! I absolutely love the Royal Envoy TM games. This one is just as good or better than the 1st two. I am so burned out on HO games, so when I see this type of game pop up it just makes my day. I have been playing for hours and still haven't made it halfway through the game. It is going to be a long one. Yay....Happy gaming all!! Rated 5 out of 5 by mendolyn from Lots of fun! This 4th installment in the Royal Envoy storyline (they didn't name the 3rd installment 3rd so the numbering is a little confusing but this is the 4th RE game) is back to being charming like the originals. I STILL miss the little tax collectors but otherwise this is cute and fun time management once again. I will say I am feeling the challenge as you race against the clock, however it isn't necessary to get gold to continue on with the story so anyone can enjoy. You may have to replay levels for all gold but luckily there is a strategy guide in the CE that can be very helpful if you get stuck. Delighted to see another wonderful addition to this franchise and look forward to spending the whole weekend playing. I sure wish Big Fish would get more high quality TIME MANAGEMENT franchises like this again, we need them on this HOG heavy site lol. Definitely worth the extra for collectors as there are many additional things to do in the CE. Rated 5 out of 5 by victorianartist from Absolutely the Best! I have had it since it was released by Playrix. I just had to have it. I have played it through 3 times. All 114 levels are so much fun and I really enjoy it. Some are pretty tight and hard to get gold, but I keep playing until I get it. This is the best .... all these levels is how these games should be made. The have just raised the bar on fun for TM games. You can go straight to buy. You won't be disappointed. Rated 5 out of 5 by Yaelle from Perfection. Royal Envoy 3 is everything you would ever want in a Time Management game. Its got first & foremost a great LENGTH- and it is quite obviously made by guys who know their stuff & most likely play such games themselves. Its always a bit obvious when a game has been developed by a non-player, someone just in it for the money. RE3 is absolutely gold-standard, that's all I can say. Rated 5 out of 5 by suzie836 from Similar to previous releases but still fun I agree with many who have said this version is very similar to past releases, at least in the first 25 levels I have played. But it still rates high in the fun factor. The story line could have been stronger, but even so, I still thoroughly enjoy the challenges of "beating the clock." Good game overall. Rated 5 out of 5 by tailswhiskers from I give it 5 stars This is a very fun game to play. I would recommend it to anyone who may want to try playing tm games for the first time. You can put the game in relax mode and play instead of playing regular mode. I would recommend this game. Rated 5 out of 5 by magdabrzez450 from It's fantastic! It's fantastic! And that's all. Rated 5 out of 5 by Rett_from_bc from Happy to see another great TM Game Like I always say, almost any TM Game is a great game for me, but I really enjoy the Royal Envoy series. Characters; animation; storyline are all great. #3 is similar to others in the series, however, that doesn't pose a problem for me (and my ratings). Rated 5 out of 5 by LadyoftheIvy from A very nice addition to the Royal Envoy games It's great to see another Royal Envoy game, as I really enjoy them. This one is much like the previous three, only with a different storyline. This time, new islands have been found, and the king has sent you to help the natives in exchange for them becoming a part of Islandshire. You'll see a lot of the characters from the previous games, as well as some new ones, and the gameplay is basically the same. The graphics are similar to the previous games (though this time, the houses change appearance as they're upgraded, which is neat), and the sound is also basically the same. Much like the other games, you collect resources (wood, food, and gold in these games) to complete goals, which tend to involve building houses, collecting certain amounts of gold, clearing an area, things like that. It has a timed mode for those of us who like it, but there's also a relaxed mode for people who don't enjoy a timed mode. There are various achievements to earn, and lots and lots of levels to play. (The demo stated 114, the description here says 112. One way or the other, it's a goodly amount.) The CE also comes with a walkthrough, wallpapers, and the soundtrack. Ultimately, if you really liked the previous three games, you're likely to enjoy this one. There isn't a huge amount of difference with this one than the previous installments, but that's not necessarily a bad thing. I actually like the fact that it's a lot like the previous ones, since I enjoyed those a lot. I'd definitely recommend it if you're a fan, and you really ought to give it a try if you've never played this series before. Rated 5 out of 5 by norton23 from Worth the buy! I am a huge fan of all the Royal Envoy games. This one is a welcome addition to the bunch! The graphics are top notch and the play is fun. I also like the fact that they let you opt out of the tutorial. It is nice when a game developer realizes that we are not all novice game players. If you liked the first two you will love this one. If you haven't played the other ones you will still love this one and will want to go back and buy the other ones!! Rated 5 out of 5 by Ziggy_Zigster from Get Your Royal Fix! Once again, the reviews here are pretty accurate. So I'm gonna make this simple. IF you loved the other Royal Envoys, you're sure to love this one. Anytime a developer releases a sequel I always worry they will mess it up. This game is no such case. Let's start by what I didn't like about the game - oops, there isn't anything. The premise is similar. You are appointed by the king to build houses. Cedric is back as well! 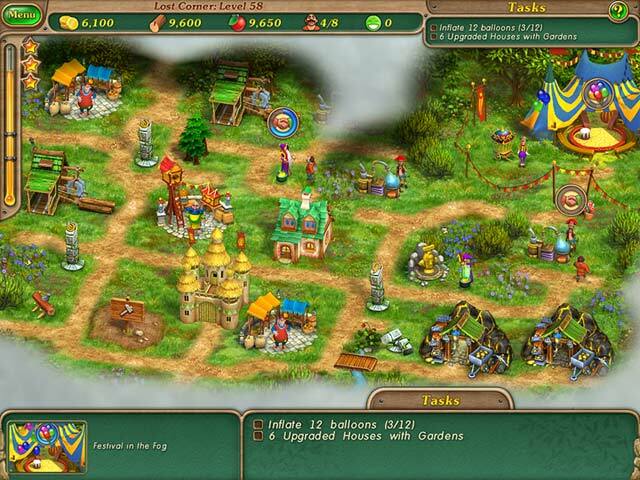 The graphics are the same while the houses and castle have been slightly altered in their appearance. There is an untimed option if you so choose. The timed levels do get more difficult as the game progresses. The REs and Island Tribes are generally the only time-managment games I do timed, cause they are completely doable without having to rip your hair out. The voices and music, again - same. Not complaining, as I said don't fix what ain't broken. One of the many things I love most about the RE series is what you get for your money in the CEs. You get a 'walkthrough' (which comes in VERY handy for those endlessly frustrating levels!). You also get a pretty in-depth achievement system, not to mention the 114 levels! A heck of a lot better than the standard 40 levels you see in most time-management games. I would normally say don't waste your time with the demo, just buy it. However, I always try the demos first - just in case. Plus, how can you waste time among royalty! Rated 5 out of 5 by Lorini from Best yet! They've stayed with the simple housing we saw in the Royal Envoy Campaign, but this one is pure 100% Royal Envoy. I bought it from another site, and have now played through it 6 times and keep going back for more. The presentation is so straightforward and easy to understand. The puzzles were good, not unsolvable nor cheesy. Highly recommended.